Hi everyone Cindy here, I want to welcome you to La-Land Land Crafts Inspiration Friday. 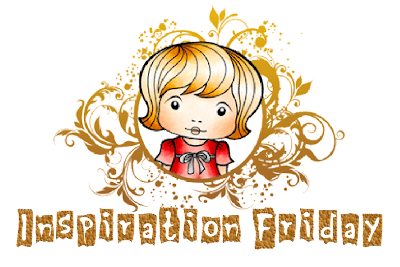 Every Monday and Friday La-La Land Crafts new Design Team will be bringing you a new inspirational theme. You are more than welcome to play along as we would love to see your creations with La-La Land Craft stamps. Please link your projects to our Customer Gallery. Becca Fabozz has used Beach Marci! Jeanette has used SWEET Summer Luka! Michele Roos has also used SWEET Summer Luka! Sandie has used Summer Luka! Love them all! Cant wait to purchase Beach Marci! Gosh, you ladies are amazing, what adorable cards you all created. Fabulous layouts! Just gorgeous cards girls. Mt two little Luka's came today I was so excited, cant wait to ink them up!!!! Summers in the house!! Gr8 job ladies. You girls are sooooooo talented!!! I love them all you guys just do an amazing job showcasing these stamps. NEW RELEASE - Sports Collection!! Winner of the $25 Gift Certificate!! WIN a $25 Gift Certificate to LLLC Store! !